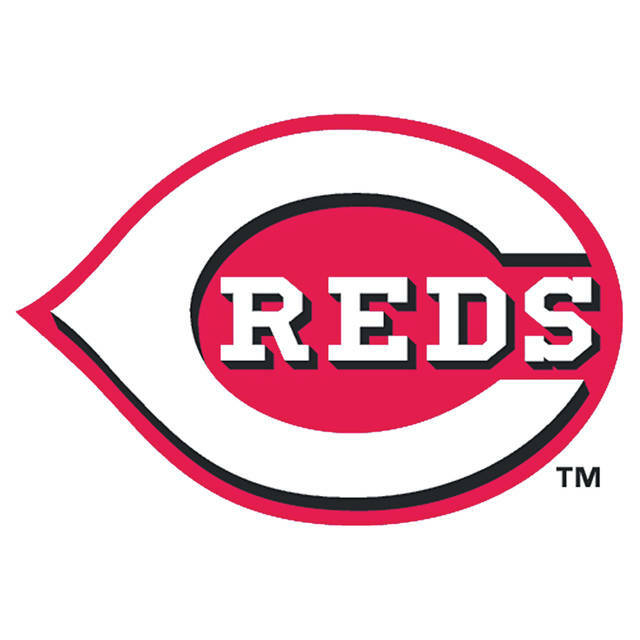 CINCINNATI – Being a Cincinnati Reds fan during this century has been, well, lackluster. In the past eighteen years, the Reds have had power hitting lineups, Cy Young quality pitching, young talent, and everything in between. But the fact remains that the Reds haven’t made the postseason since 2013, a one game wild card playoff loss to the Pirates, and have made the playoffs just three times since 1995 (2010, 2012, 2013). After the Reds Opening Day win against the Pirates on Thursday, it feels as if there’s a sense of optimism coming from those who support Major League Baseball’s oldest franchise. Thursday’s Opening Day was not only my first Opening Day as a media member, it was my first opening day, period. Like most people from our region, I grew up listening to Marty Brennaman and Jeff Brantley call Reds games on the radio as if you were listening in on their conversations, like they were two old friends hanging out. My first ever trip to the Queen City for a Reds game came as a child in the mid-2000’s in inter-league play against the Indians, a game in which Adam Dunn hit a walk off grand slam to send the Reds home with a victory. That game remains in my top three sporting moments I’ve experienced live. That’s probably why my experience yesterday still feels surreal over 24 hours later. I never imagined I would be in the position i’m in today, and i’m thankful for it. Opening Day in Cincinnati is always referred to as a holiday for those who root for the Reds, and Thursday it felt like it. The sounds, sights, and smells you usually experience when attending a baseball game were amplified tenfold with locals and non-locals celebrating the start of a new year and season of Reds baseball. New manager, new players, and a new sense of optimism. Thursday’s Opening Day wasn’t just significant in our region, however. It was significant across all baseball. Thursday marked the 150th opening day in Reds’ history, a tradition that goes all the way back to 1869 as baseball’s oldest franchise. As if the pomp and circumstance weren’t enough, MLB commissioner Rob Manfred was on hand to help celebrate the special occasion. 44,049 people, the largest crowd ever at Great American Ball Park, all felt as if they had an extra pep in their step on Thursday. From the pregame festivities that lined the streets of downtown Cincinnati, to the time the final out was recorded, Reds fans have waited a long time to feel the feeling they did yesterday: hope. The atmosphere Thursday was perfect and was unlike any Reds game I’ve been to in the past. Fans were in their seats an hour and a half before first pitch, they were loud the entire game, and that undoubtedly helped propel the unlikeliest of heroes to make the biggest of plays when they were needed to. It almost felt like fate when Derek Dietrich’s pinch-hit three run bomb cleared the left center fence, as if it were a signal to fans that even when the big names are off their game that day, this Reds team has the talent in each roster spot to overcome a slump like day. Reds manager David Bell doesn’t get too excited, a credit to his calm natured personality. But you could tell how special Thursday’s win was for him, his first as a manager, while also knowing how much opening day means to Reds fans. I’ll never forget the feeling I felt yesterday, watching a team I grew up cheering for, game in and game out, from a vantage point I never thought I would watch them from. My excitement was shared by 44,048 other people on Thursday in attendance at Great American Ball Park and the hundreds of thousands at home, for reasons that only had to do with baseball. Reds fans have waited a long time, maybe too long, to supplant themselves in baseball relevancy again. With Thursday’s Opening Day win and a talented roster formed for the next 161 games, fans can now say the Reds feel back. But the question is, can they continue using Thursday’s momentum boost to propel them to an excellent season? That answer is yet to be determined.